The entire day before my appointment I was nervous about attending this appointment. I at one point almost canceled. I feltlike maybe I was over thinking my situation and maybe I didn’t need to be seen by a DR. Dr. Barrera was very understanding, and he listened to my husband and I on all of our questions that we had due to a super early pregnancy loss. He provided us with tests and took his time with us to ensure that we were well taken care of. I really enjoyed my visit. The wait time was a little long but he personally apologized for the wait and now that he took his time with me and my husband it was understandable, and it didn’t bother me at all to wait! The entire day before my appointment I was nervous about attending this appointment. I at one point almost canceled. I felt like maybe I was over thinking my situation and maybeI didn’t need to be seen by a DR. Dr. Barrera was very understanding, and he listened to my husband and I on all of our questions that we had due to a super early pregnancy loss. He provided us with tests and took his time with us to ensure that we were well taken care of. I really enjoyed my visit. The wait time was a little long but he personally apologized for the wait and now that he took his time with me and my husband it was understandable, and it didn’t bother me at all to wait! Dr. Barrera is AWESOME! He listened to my concerns, answered all my questions, and made me feel comfortable. He's very knowlegableand attentive. I have found my new OBGYN and PCP. The staff is very friendly, attentive, and AWESOME too! I highly recommend Dr. Barrera. Thank you for everything. Dr. Barrera is AWESOME! He listened to my concerns, answered all my questions, and made me feel comfortable. He's very knowlegable and attentive. I have found my new OBGYN and PCP.The staff is very friendly, attentive, and AWESOME too! I highly recommend Dr. Barrera. Thank you for everything. 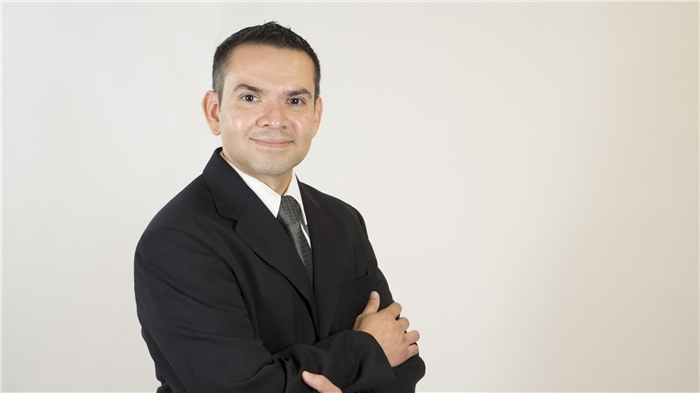 Alejandro Barrera is a warm and reputable OB-GYN based in Harlingen, Brownsville, and Weslaco, TX. Dr. Barrera earned his medical degree from Universidad de Montemorelos Escuela de Medicina in NL, Mexico. He then moved to the United States to complete his residency in internal medicine at the University of Texas, San Antonio, Valley Baptist Medical Center. He also completed his residency in obstetrics and gynecology at Loma Linda University Adventist Health Sciences Center. Dr. Barrera is a part of RGV Women's Health Center and is affiliated with Valley Baptist Medical Center and Harlingen Medical Center in Harlingen, TX. Dr. Barrera is board certified by the American Board of Internal Medicine. Outside of his practice, Dr. Barrera enjoys general reading, music, running, and gardening. Dr. Barrera is devoted to ensuring the longevity of his patients’ health and developing long-lasting relationships with them. He takes his time to understand symptoms and give correct diagnoses to ensure the continued health of all his patients. Dr. Alejandro Barrera was efficient and caring!